Have you ever wanted to design your own rockets, launch them into space, and send astronauts to the moon (or beyond)? Now you can with Kerbal Space Program, a unique game and digital toy that focuses on the space-faring adventures of little green dudes called Kerbals. 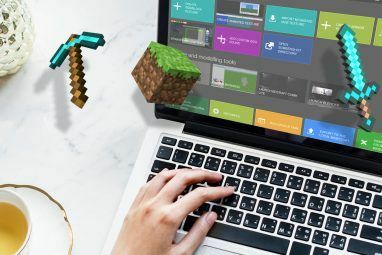 The game, developed by a small studio called Squad, has been developed with the Minecraft approach 5 Minecraft How-To Tips To Start Crafting Like A Pro 5 Minecraft How-To Tips To Start Crafting Like A Pro Minecraft has steadily gained popularity with no signs that the trend will change anytime soon. 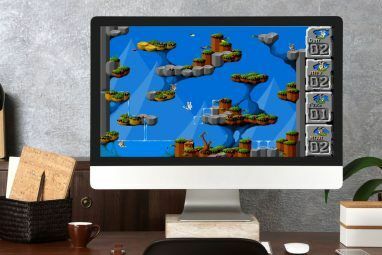 I’m a big fan of the game and I have plenty of friends who play it or would like to... Read More . It is totally playable, and a lot of fun, but there are many planned features still in development. Fortunately, the game’s developers have allowed impatient gamers to go crazy with mods, and have even created a website called the Kerbal SpacePort that give modders a place to share their creations. The only problem is the site’s huge selection; there are hundreds of Kerbal space program mods to choose from. So, to save you time, I’ve picked out ten of the best. Besides rockets, Kerbal Space Program also includes space planes. These are much more complex and harder to design, but allow for the creation of spaceships that can sail to the stars but also re-enter the atmosphere and navigate on their own power. What’s great about the B9 pack, and makes it among the best component packs available, is its attention to detail. The parts use quality textures and are based on concept designs shown by NASA 7 Cool iPhone & iPad Space Apps From NASA [iOS] 7 Cool iPhone & iPad Space Apps From NASA [iOS] NASA and its astronauts have boldly gone where many of us can only dream of going – the depths of space. Their website is full of information, thought-provoking imagery and a couple of awesome free... Read More , DARPA, and militaries across the globe. And while most useful for planes and shuttles, the parts can be used in rockets, too – so don’t count this mod you just because you haven’t started building space planes yet. Originally developed as a “cheat pack”, Impossible Innovations has turned into a fully-fledged component mod for people who want to take their space program a step beyond what’s possible with today’s technology. That means a wide variety of wonderful components like fusion engines, high-capacity batteries, advanced command pods, super-charged solar panels and more. These allow for ships that are larger, faster and more durable that anything normally possible. Designing your first rocket can feel overwhelming. After some successful missions, however, you may discover an itch for even more components. That’s what KW Rocketry provides. In this pack you’ll find more nose-cones, decouplers, fuel tanks, fairings, a new engine numerous new engines, more solid fuel boosters, and more. These extras vastly expand the rockets you can build and allow for designs that aren’t possible with stock components. Yet they’re also relatively simple, making this mod digestible for new players. Piloting can be one of the game’s more frustrating challenges. At times it is difficult, and if you’re no good at it, even the best rockets will crash and burn. MechJeb is the solution. Once the mod is installed you’ll have access to MechJeb components which, when placed on a spacecraft, provide a wide range of auto-pilot features. This mod can handle almost everything; docking, takeoff, landing, orbital flight, and more. It can mess up from time to time but, in 90% of situations, it works perfectly. There’s one part that is conspicuously missing from Kerbal Space Program – a cargo bay. Since it isn’t present, rockets have to put satellites into orbit by just attaching to them to the top. Which tends to work fairly well, but isn’t ideal or realistic. SpaceJunk fixes the problem with a cargo bay. Simple! The bay comes in several different sizes and allow for the deployment of small satellites Track & Predict The Path Of Satellites Live Using Gpredict [Windows] Track & Predict The Path Of Satellites Live Using Gpredict [Windows] I have to admit that I'm a sucker for cool, high-tech displays that constantly update with interesting data in real-time. It's one reason that I wrote about real-time display widgets and tried to use those... Read More . Currently the game includes the parts to make satellites, but they don’t do much. RemoteTech gives them a purpose by introducing new remote control options and a communications system. With this mod it’s possible to remotely operate unmanned craft, but only if they’re within communications range of mission control. That range is rather short, and blocked by the terrain of Kerbin (your home planet), so you’ll need to send up relay satellites. Eventually you’ll create a network that spans the solar system, making this mod perfect for anyone who wants to try their hand at inter-planetary communication. Kerbal Space Program is as much a toy as it is a game, which means for many players the goal is far less important than the journey. And so we have Telemachus, a mod that lets you use web browsers to create a virtual mission control. Does this make the game easier? Not really. But it does better simulate hands-off command of spacecraft from a control center rather than the cockpit itself. The mod even includes nifty telemetry data, perfect for graph-lovers and data-mongers. One of the limitations which can become annoying in Kerbal Space Program is the inability to add components after construction. That’s annoying because space stations are almost always multiple-part structures built by docking different pieces. Quantum struts provide a fix by adding “energy” struts that can connect different docked spacecraft, which make space stations less likely to suffer from wobble. And that in turn allows for the construction of much larger stations. 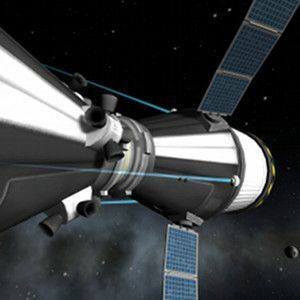 All of these Kerbal space program mods are free to download through the Kerbal SpacePort website, which also provides install instructions. 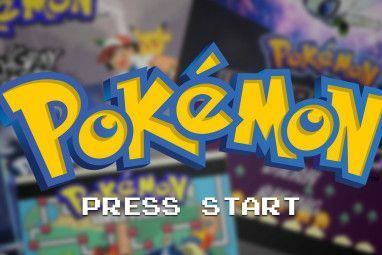 Generally, the folders found in a mod’s zip file can be drag-and-dropped into the game’s installation folder, and that’s that. Mods compatibility doesn’t seem to be an issue (I’ve not run into it, at least). As for the game itself, you can buy it off Steam for $22.99 or directly from Squad for $23 even. I bought this recently and haven't had more fun with "AAA" releases. As a previously avid X-plane fan this is an awesome game. What's more I'm buying gift copies for friends. This looks pretty fun. I'll have to kick it around in between Path of Exile play sessions.